Now that Rockstar have turned their attention to making games again instead of sitting on their Smaug-pile of money earned through GTA Online, many fans are turning their attention to what they can make next. Once Red Dead Redemption 2 is out in the wild (west), it’d make sense that they would begin work on GTA VI, or maybe even an update to one of their older properties, Bully 2 being the obvious pick. However, finally finishing the AWOL Agent would be a real statement to anyone who still doubts them. But we haven’t anything from Agent in years with the general consensus being that it’s quietly been lost in the shuffle somewhere along the way. Here’s what we know about Rockstar’s Agent and whether we have a chance in hell of ever seeing it. For those not in the know, Rockstar’s Agent was announced way back in June 2009 after having been under wraps since 2007. It was set to be a PS3 exclusive to continue the good relationship Rockstar and Sony shared. It was the PS2, after all, where the Grand Theft Auto series really found its feet with the release of GTA III, Vice City, and San Andreas as temporary exclusives; all three games would later be bundled as the Grand Theft Auto: The Trilogy collection for the original Xbox, but it was clear where the franchise’s home truly was. 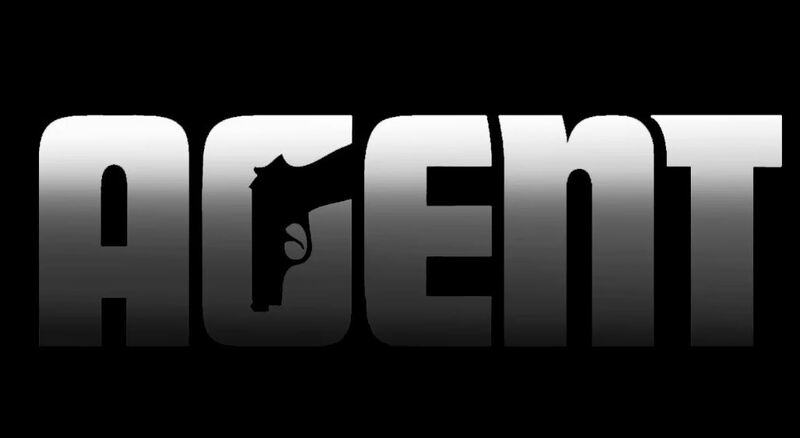 It wasn’t a surprise, then, to hear that Agent, a game that was teased as far back as 2007, would be coming exclusively to the PlayStation 3 and be developed by Rockstar North: the minds behind the Grand Theft Auto series. You can catch the reveal from E3 2009 below, but beware of the audio quality. “We have always enjoyed making action games, and with Agent we are making what we believe will be the ultimate action game. After the PS3 had stumbled out of the blocks and with the Xbox 360 already pulling way ahead in the race, it looked like Sony may have found the game to help them catch up. And then communication went dark from Rockstar regarding Agent. One of the most hyped games of all-time just ups and vanishes with Rockstar reticent to relay much new info about their new IP. Despite Rockstar claiming that Agent could possibly be released as early as 2010, they’ve been hesitant to really mention it at all since 2009. While some might suggest that it’s been quietly cancelled (and it likely has, at least the Agent it used to be), it would be unwise for them to ditch a project so ambitious, suggesting that they would be unable to deliver on said ambition. Many E3 shows have come and gone since Agent was first announced and there has been no sign of it since. When E3 rolls around each year, Agent is at the top of many wishlists for Rockstar fans, but each year it remains absent. Back in 2012, current Take-Two CEO Strauss Zelnick* announced that there was nothing to announce. The only real news concerning Agent in the last five years has been Rockstar re-registering their trademarks, but beyond that: silence. The only other mention of the game on their website comes from a Q&A from 2009 in which they respond to a fan asking about Agent by saying that they wouldn’t have any news for the rest of the year — or the nine subsequent years, apparently. Agent does, however, have its own website, which must be somewhat moderated by someone at Rockstar as it contains code from Google Tag Manager: a Google product which was only introduced in 2012. Beyond that, the website gives nothing away with the PS3 logo with the Spider-Man font still gleaming in its footer. Back in 2017, a perturbed individual reportedly leaked concept art for Agent after they were upset about Rockstar’s sudden clamping down on modding in Grand Theft Auto. However, as it’s impossible to verify these images, take them with a pinch of salt. Could Rockstar’s Agent Still Be A PlayStation Exclusive? There’s been nothing to suggest that Agent will no longer be found only on a PlayStation console, though there’s nothing to particularly suggest that it will, either. Rockstar not even bothering to update their official listing for Agent to remove mention of the PS3 (despite the fact that it is yesterday’s console) may simply mean that it’s not high on their list of priorities. However, speaking back in 2011, former President and CEO of SCEA, Jack Tretton, seemed unsure of the game’s exclusivity to the PlayStation 3, stating that he thought it was now in Rockstar’s hands. This infers that there was only ever a “gentlemen’s agreement” between Sony and Rockstar for Agent and that the studio wasn’t contractually obligated to make the game only for the PS3. That is, unless the contract had expired: Sony teased a platform exclusive property from Rockstar as far back as 2007, which means that it could have been in the works even before then. It wouldn’t be the first time Rockstar has reneged on PlayStation exclusivity, either. LA Noire was intended to be produced exclusively for the PS3 but was later revealed to also be coming to the Xbox 360. Curiously, Game Informer’s Matt Bertz at the time remarked that Agent would be filling an exclusivity gap left by LA Noire’s multi-platform move. Also of note, the update on the PlayStation Blog from 2007 first announcing that Rockstar would be working on a PlayStation exclusive game has since been removed with the URL now just redirecting to the home page of the PlayStation Blog. The URL is supposed to be blog.us.playstation.com/2007/07/27/new-rockstar-games-franchise-exclusive-to-the-ps3/ (as discovered from this old Gamespot coverage) but it just goes to the aforementioned homepage. While you may think the URL has just been changed or moved, searching through years of results on the site brings up nothing in 2007 regarding Rockstar or Agent — it seems like someone purposely removed the post, especially as typing any additional strings to the site’s basic URL will take you to a 404 page whereas trying to reach this particular URL creates an intentional redirect. While Sony are known for their great line-up of PS4 exclusives, it’s going to be hard for them to convince Rockstar to produce a game solely for their system. Rockstar and their parent company are hardly in need of the cash and they will no doubt be busy maintaining and “selling” Red Dead Online for the foreseeable future. While many of us may want to see Rockstar again dip back into their portfolio, it’s hard to see how Agent would fit in in the current market. Espionage is a solitary endeavour, which doesn’t exactly suit Rockstar’s pivoting to creating multiplayer online playgrounds with “recurrent consumer spending“. Agent, of course, may take another form entirely from the one that was first teased. It may no longer be set in the 1970s or even focus on spying at all. Rockstar may one day return to the well and deliver Agent in one form or another, but with this generation wrapping up and them sure to be supporting Red Dead Redemption 2 for years to come (providing, of course, that the game is any good), don’t expect to see anything of it until at least the PlayStation 5 and maybe even beyond. *In the interest of transparency, Strauss Zelnick is the founder of ZMC, a firm which purchased our advertising partner, AdThrive, and its affiliates earlier in 2018. Neither Zelnick, ZMC, AdThrive, or any other third-party have any input or authority regarding our editorial content. We remain independent.